There are numerous cheap packages out there that won't survive more than a few days on the lake, and there are many expensive options with features that only make sense for the experienced angler. Therefore, I'll try to plan out a starter fishing package with budget in mind that still provides a very capable final setup. 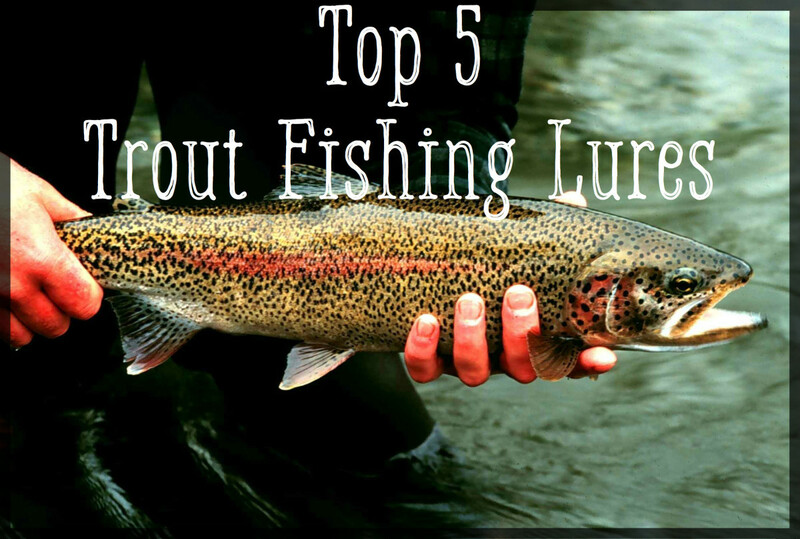 By the end, you will know everything you need to know to catch trout! "Conventional" reels can be further broken down into bait-casting, low-profile bait-casting, trolling, and ocean, all with different purposes. 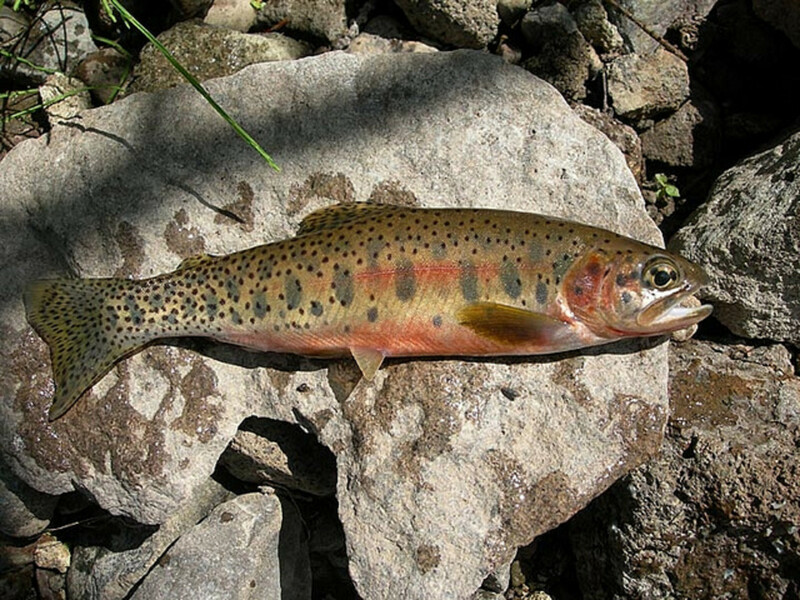 With a few exceptions, however, these are typically not used for trout. "Spin-cast," also know as "closed-faced" or "push-button," reels are typically seen on many kids' fishing set-ups; in my opinion, however, the cons of these reels far outweigh the pros. Therefore I will be suggesting a "spinning" or "open-face" reel for the task at hand. These reels have good line capacity and good casting performance, and are trouble-free when it comes to casting and line maintenance. 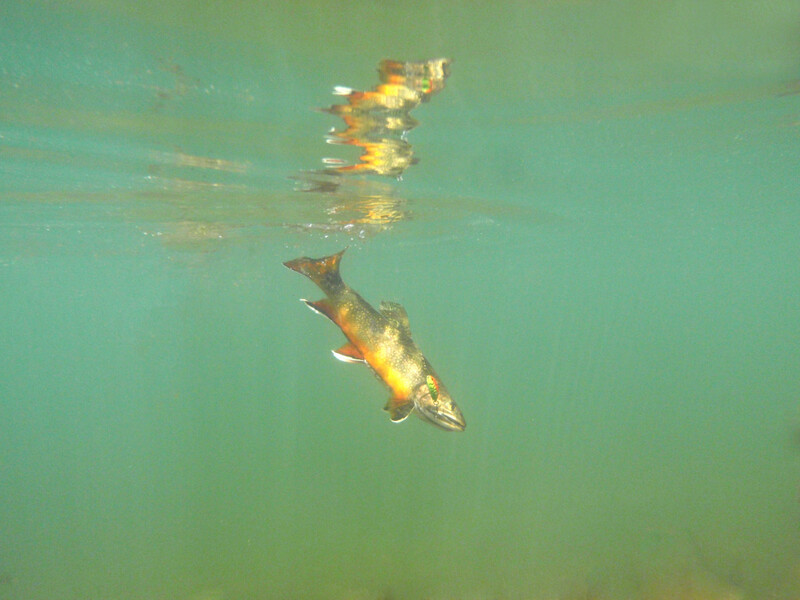 Admittedly, their drag systems are not the best; however, for most trout fishing, this shouldn't be an issue. Infinite auto reverse: This refers to how much backplay the bail has when rotating around the spool. Unless the reel has a "quickfire" tab, there should be no backplay. The Sedona packs most of Shimano's high end features into a very affordable package. My oldest one is ten years old and still fishes like a champ. Hands down my top recommendation. On a casting rod, all the eyes all the way down the rod will be small. This has to do with the way the line feeds off a casting rod: generally in a straight line. On a spinning rod, the first eyelet (closest to the reel seat) will be large, with eyelets tapering down in size to the tip. The large eyelet, called the "gathering guide," helps "gather" the line as it comes off in wide loops off the spinning reel. 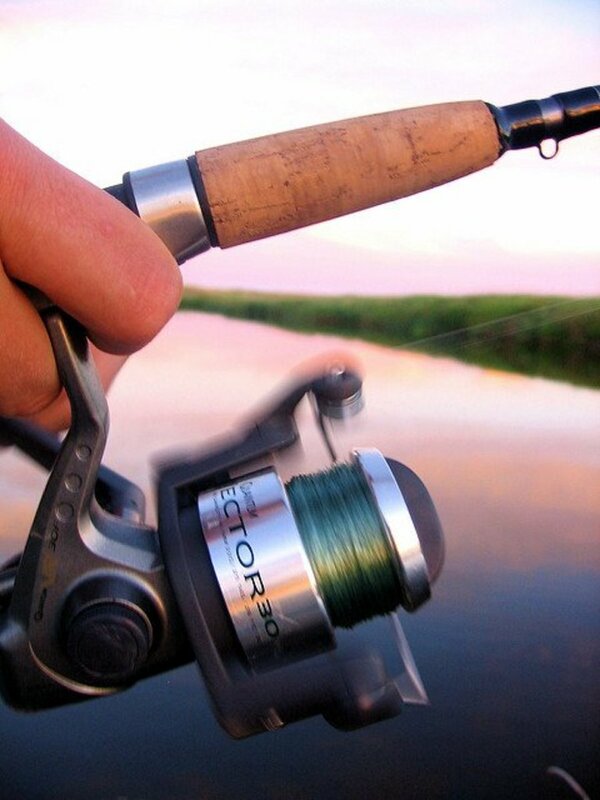 So again: spinning reel to spinning rod, casting reel to casting rod. I can't stress this enough. If you are unsure when looking at a rod, look for these two things, or just read the rod: it will likely say on the rod or product tag. 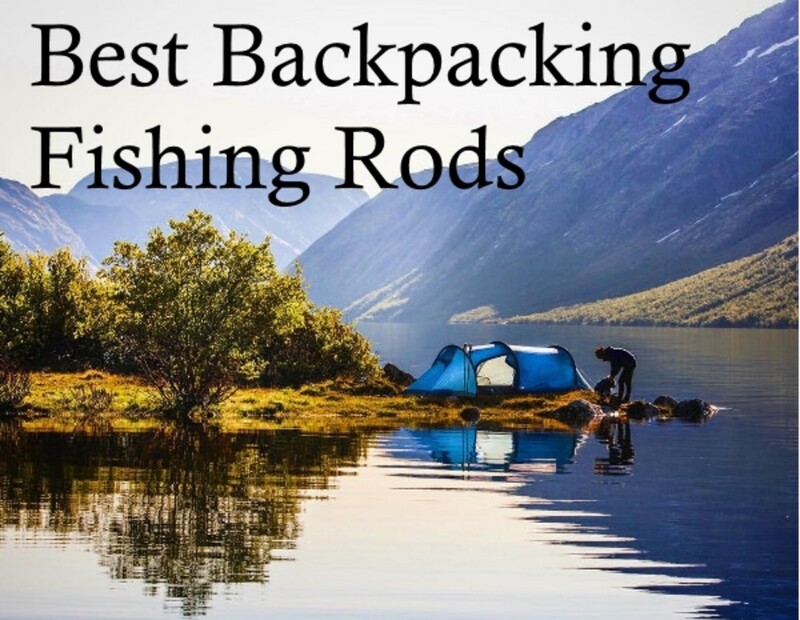 Expect to pay between $30 and $70 for a rod that works well. Personally, if cost is an issue, I would advise paying a little more on the reel, and holding back a little on the rod. While a good rod is invaluable, a less expensive rod (assuming it doesn't break) still gets the job done. A cheap reel, on the other hand, is just a recipe for tangles and frustration. Any rod that fits the above criteria and retails for more than $30 is probably a good fit. Another must-have. If you buy your gear at a local retailer, chances are they have the equipment to spool line onto your reel spool very quickly. In fact, if you buy the rod and reel there, most retailers will do it for free, assuming you don't request an outlandishly expensive line type. There are lots of good choices here, and even some of the best ones are still reasonably priced. Just don't buy anything too cheap; you'll be disappointed. Any line from Trilene (Berkley), Stren, P-Line, or Maxima would be solid choices. My personal favorite is P-Line CX in the moss color, but I'm not saying its necessarily the best; I haven't tried them all. You should have some basic terminal tackle no matter what type of fishing you will be doing. As far as trout fishing goes, you won't need the snazziest brand; Danielson will save you some money and do just fine for most components. For hooks, Gamakatsu is well respected for a very reasonable price. Hooks are no place for skimping. Some spinners, some spoons, a Rapala, just a variety. In a perfect world lures would still be a dime a dozen, and you could get one of every color. Truth is, most color schemes are meant to catch the fisherman, not the fish, so remember that, next time the "Crystal Watermelon Assassin" spinner catches your eye (and yes, that is a real lure). Your best course of action is to ask around. Depending on the time of year, local water conditions, and other factors, what works here for me will probably not work for you. The best I can do is send you to an article I wrote on lures, where I pick some time-proven winners that should produce anywhere. If bait is more your style, you can't beat the real thing. I love fishing with nightcrawlers, red worms, crickets, etc., however these must all be purchased day-of, as they don't keep well. 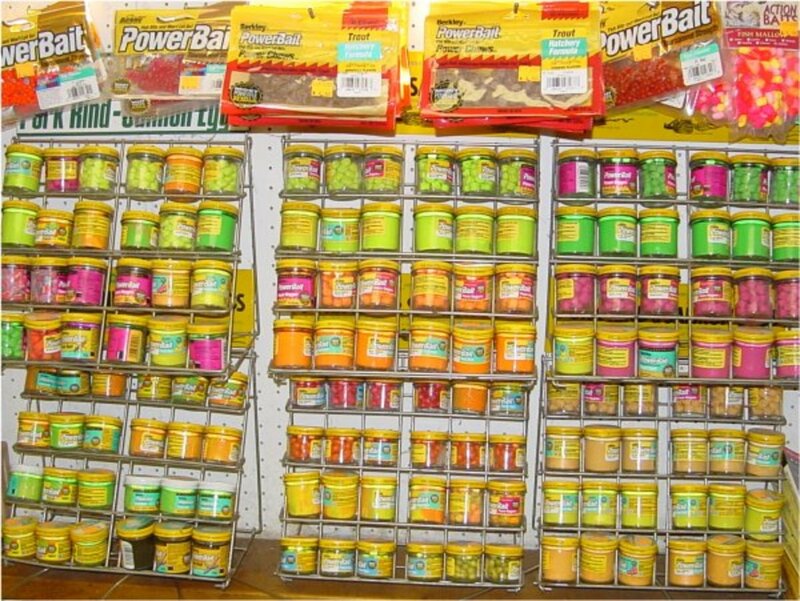 For bait that will keep, Powerbait would be my first choice. I haven't used it since I was a kid, but orange, rainbow, and red were some of my top-producing colors way back when. Other options would be scented marshmallows or salmon eggs. In a pinch try Velveeta cheese. 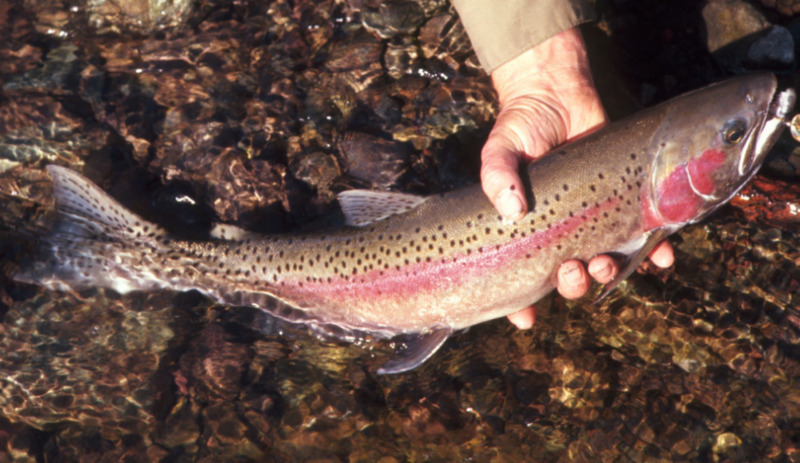 Just as with lures, the most effective bait will differ from one body of water to the next. So if you've got everything up to this point, you're good to go. Most everything else here is just nice-to-have extras. Scent. I like Smelly Jelly, mostly just to get your scent off the bait or lure: anise, garlic, anything really, I don't really think it matters. I would love to hear your feedback. If you have any questions, leave them in the comments section below, I'd be glad to help! If you found this article helpful, do me a huge favor and Share using the Facebook or Pinterest links at the top of the page. Best yet, if this helped you catch some fish recently, send me a picture using the 'Contact the Author' link at the top of the page and I'll feature you and your catch on an upcoming post! Thank you! I have caught my share of fish but I think this article will boost my game a little this season. 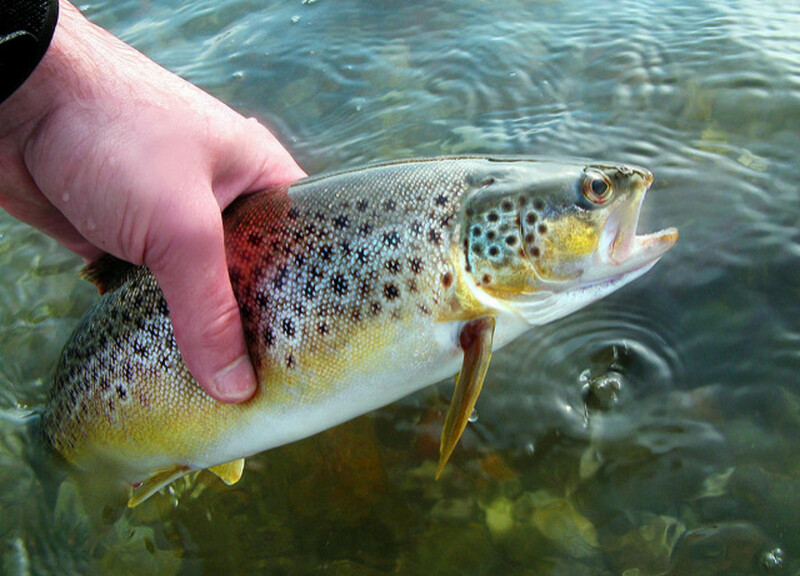 I haven’t really tried catching other fish but trout are still one of my favorite kind of fish to catch and I haven’t used much of anything other that regular live bait ; worms and other grubs and things of that nature and I’m ready for a change of bait so thanks for the article! Thanks so much for this article! 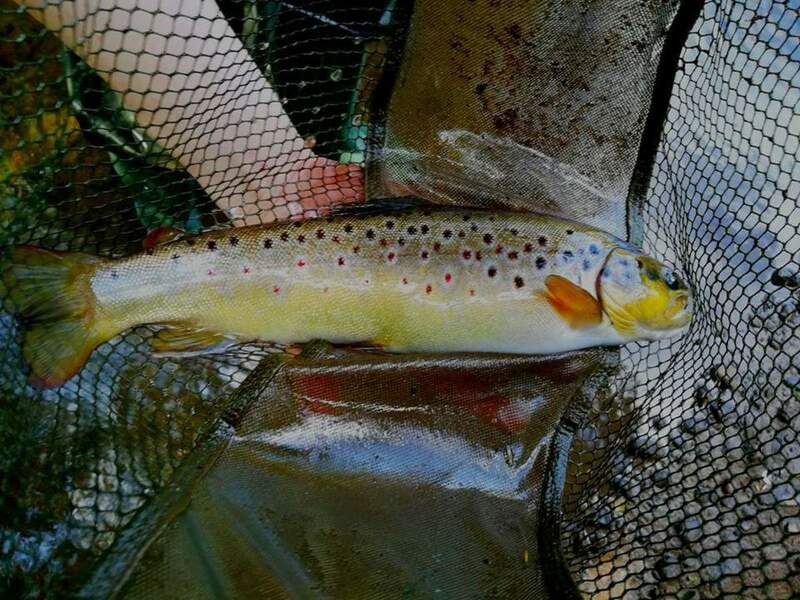 I'm going to be unemployed for the winter and want to get back into trout fishing but I haven't done it since I was a kid. I was looking for an inexpensive rod and reel suggestion and some tips to get going, you covered all the bases. Cheers! Daniel I really hope you get out and go fishing! I've been fishing my whole life and its led me on some awesome adventures. If you have any further questions feel free to ask either here in the comments section or in the 'contact the author' link on the top of the page. We'll get you set up! 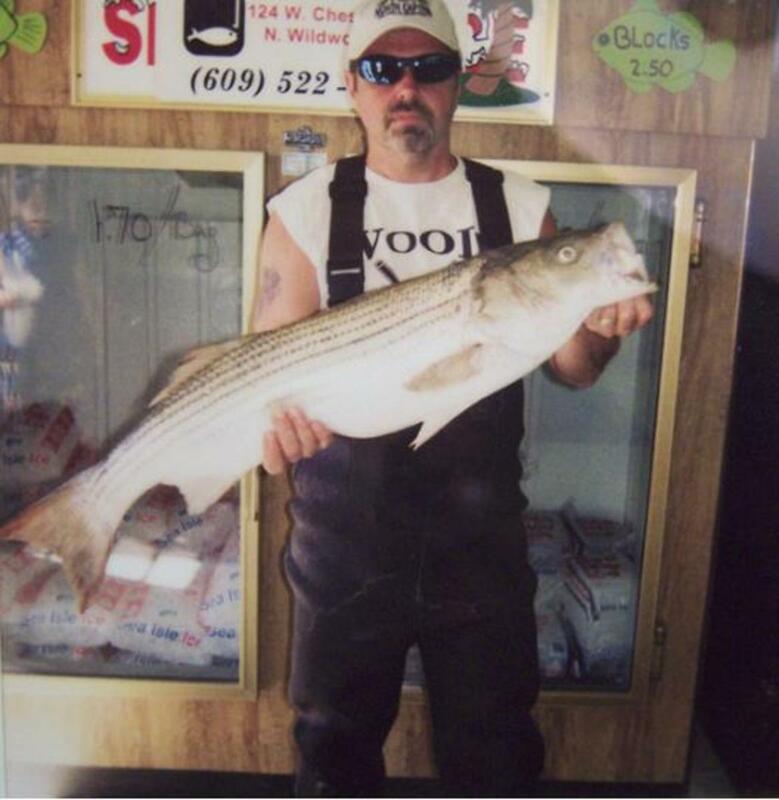 48 years old and never fished. The time is now and reading this will really help given my complete lack of knowledge on the subject.